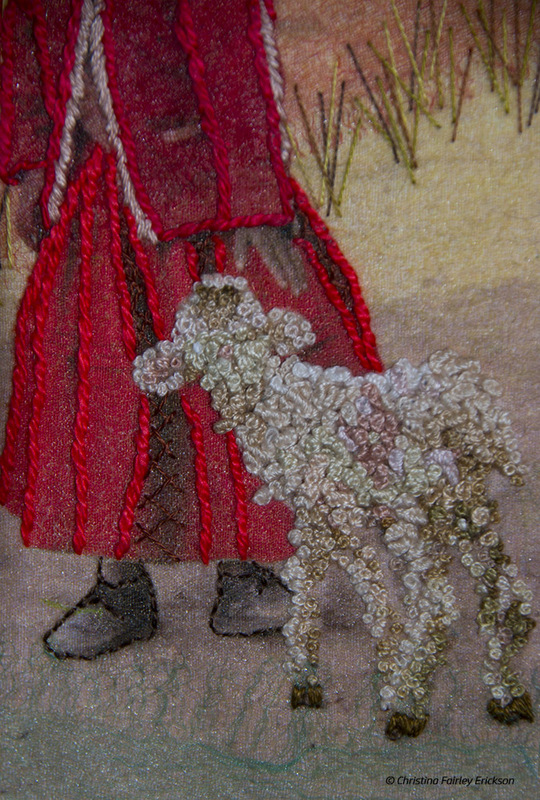 A glimpse of a simpler life tied to tradition, the land, and a loving relationship with animals. 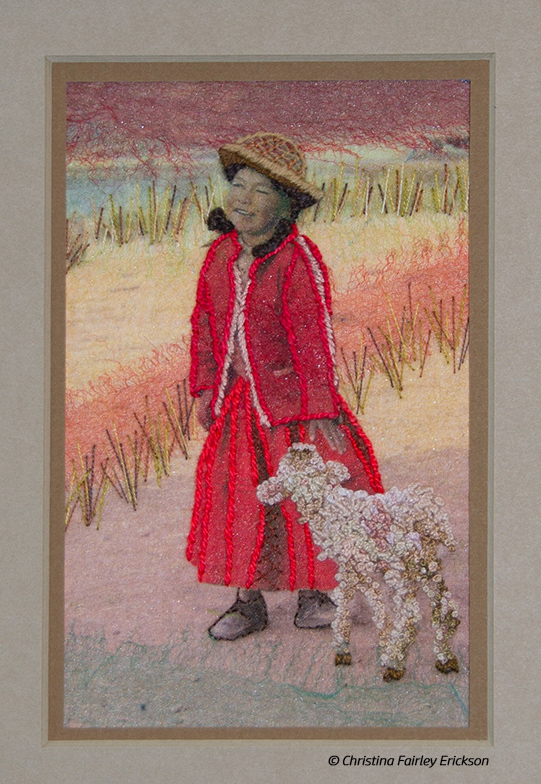 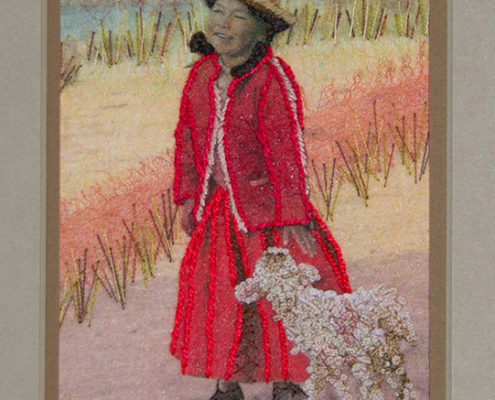 Photo from a trip we took to Peru- taken by our son, David Erickson, near Lake Titicaca, Peru..
Materials and Techniques: Photo printed on cotton, covered with thin nylon materials and hand embroidered. 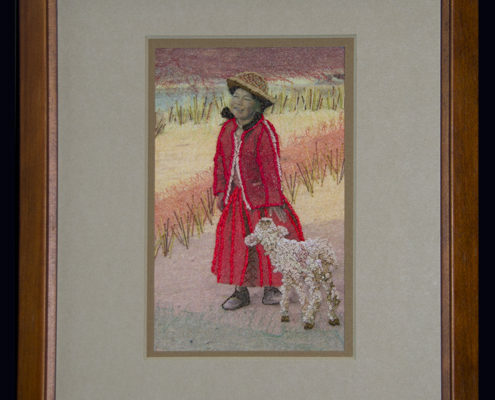 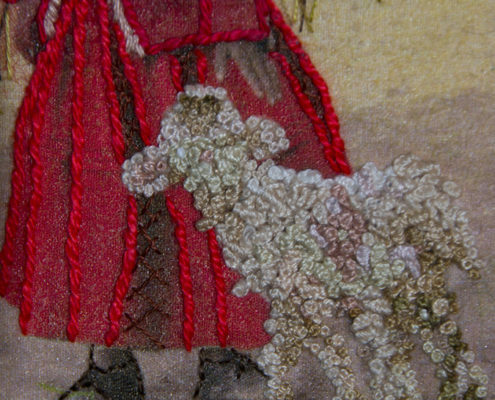 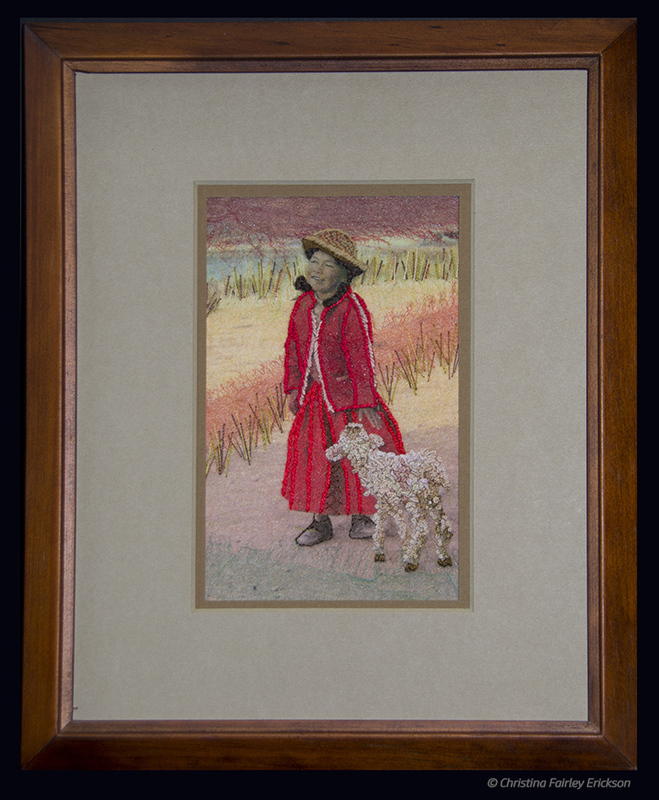 Lamb’s wool is made from French knots and a cast-on stitch (sometimes called “Drizzle Stitch), which twists and curls.